As a 20-year-old, Robert Taylor had a clear vision of what he wanted in life – and what he didn’t. He was determined to lead a company some day. That dream “has guided me from early university. My goal was to become a CEO,” he says. What he did not want was to work in the insurance industry, which had been the career path of his father. It was worthwhile work, he felt, but it didn’t interest him. Now at 70, after a satisfying executive career, Taylor looks back and sees his youthful vision was half-achieved. Yes, he became a consummate CEO and company founder. But his executive time has been spent almost entirely in the insurance business, the sector he had first shunned, and then embraced as a foundation on which to build a career. “It is a beautiful industry, it has so much going for it and is so little understood,” Taylor offers. His odyssey reveals the power of a youthful vision – and the merits of sticking to it – but also the value of making adjustments as you learn more about the business world, about yourself, and what works for you. Taylor is also a living advertisement for the potential to grow as a manager and leader. 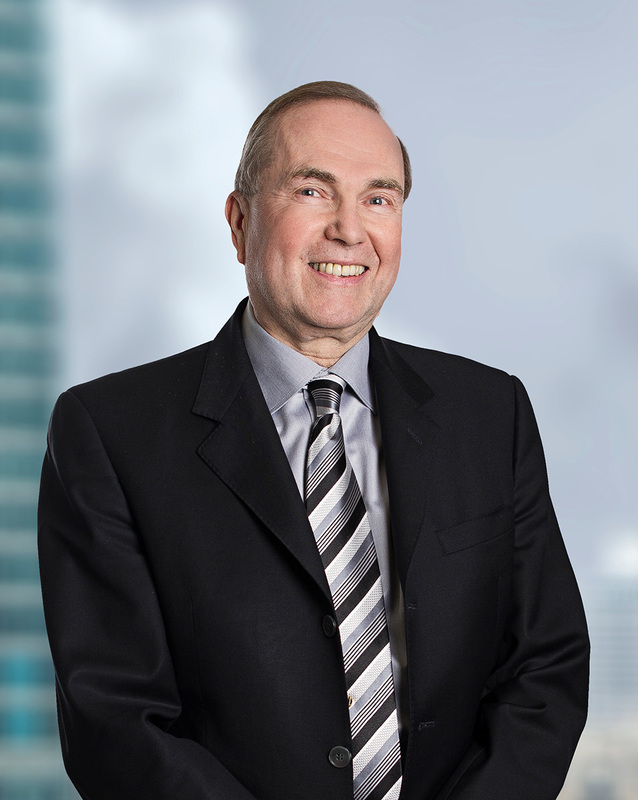 A big part of that growth came from his McMaster MBA, earned in 1976, which gave him tools in finance, strategy and marketing to evolve from an engineering undergraduate into a broader leadership role – in his companies and his industry. As it happened, that industry is insurance. It is an industry with a number of large companies, and yet, he observes, it is an area within financial services with profitable niches that allow entrepreneurs like him to flourish. These days, he is easing back from Trisura, the Toronto-based insurance company he co-founded a decade ago, and where he has been a driving force in its impressive growth. It caps a career working largely in specialty business insurance, including surety, liability and fidelity coverage. Born in Burford, a village in southwestern Ontario, where his father ran an insurance brokerage office, he studied engineering at University of Waterloo, where he caught the leadership bug. Upon graduation, he wanted front-line supervisory experience and joined Procter & Gamble in Hamilton where he eventually took charge of a plant for the huge consumer goods company. It’s amazing what happens if you have a vision, whether it’s a company or an individual … if you have it, you can achieve it. But the road to the higher echelons of P&G ran through Cincinnati, its head-office home. He did not want to move to Cincinnati, and he was not likely to occupy the corner office with the U.S. giant. Through this time, he was preparing for a broader career though his MBA. He would work a shift at P&G, travel to Hamilton for an evening class, and labour into the night on his assignments. Particularly valuable was a stint with a student consulting group for a start-up company, where he was able to apply what he learned in the classroom. McMaster and P&G both gave him confidence to move on to a new challenge – he just didn’t know where. A key player in his story was a family friend, insurance magnate Frank Cowan, who in addition to owning brokerage operations, controlled an underwriting company in Montreal; Guarantee Co. of North America. Despite Taylor’s avowed opposition to insurance as a career, he finally agreed to meet the president and then travel down to Montreal to see the operation. It turned out insurance underwriting appealed to his analytical engineering side, with its disciplines of risk assessment, evaluation and pricing. His toolkit of engineering and MBA degrees was rare at the time and valuable in the industry. Assured by Cowan that he would achieve his career goals at Guarantee, the 29-year-old moved to Montreal in 1975. He was highly instrumental in building Guarantee’s national business in fidelity and surety, and he became the No. 2 executive. His vision was to be a CEO, but he lost hope of achieving it in that company. After 14 years with Guarantee, he sent out a couple of letters and got a quick response from Wellington Insurance, a company strong in personal insurance but looking for growth in new areas. Taylor outlined a path for Wellington, then part of the Trilon-Edper organization, to move into the liability, surety and fidelity business. He created a specialty business called Wellington Guarantee and the parent company supported his plan. Taylor soon found he was fielding calls from former colleagues from his previous company. It became a pattern. As his career evolved, he has brought people with him, drawn by his track record. It echoes the model of the technology industry, where colleagues drift apart and come together through a series of companies. It underlines that business is essentially about people, not bricks and mortar – and Taylor has spent his career working with people he knows and admires. “Insurance is a people business. There are technical parts, and I like that, but it is all about relationships,” he says. Companies – and company names – came and went, but the people remained. Taylor became senior vice-president and CEO of Wellington Guarantee. Then, Trilon sold Wellington Insurance but retained ownership of Wellington Guarantee and Taylor became president and CEO of the renamed London Guarantee. There, he worked with a younger man, Mike George, and they became confidants. That relationship survived the upheaval, when in 1997 Great West Life acquired London Life Insurance and London Guarantee, and subsequently divested the London Guarantee unit. Through the turmoil, Taylor and George – along with a colleague John Garner – were musing about how to work together again. Out of that determination emerged Trisura, founded in 2005. The new company, Canadian-owned and managed, obtained regulatory approval in remarkably short time, reflecting the quality of the founders’ presentation. Taylor was in business again with a company that very much reflected his vision and expertise – and people he trusted. The founders got timely financing help from the Toronto-based Brookfield Group. The company thrived, and after a period as CEO, Taylor began stepping back. There was a transition as co-CEOs, and George is now in charge. Taylor is chairman and is gradually divesting his shares. He has time now to sit on a couple of boards, take a financial advisory role in the Anglican diocese of Niagara and serve as head of stewardship for his and wife Frances’s church in Burlington. He can also refocus on his lifetime hobby as a stamp collector. Comments which include unrelated or suspicious links or messages (spam). Comments which are off topic. Comments which attack or threaten individuals or a group of people. Comments which include profanity or messages that would generally be considered offensive or inappropriate by the McMaster community. This site is moderated by the DeGroote Marketing and Community Engagement team. If you have any questions please email Jared Lenover.